Product prices and availability are accurate as of 2019-04-18 16:43:52 UTC and are subject to change. Any price and availability information displayed on http://www.amazon.com/ at the time of purchase will apply to the purchase of this product. Satiny and sleek, this ballet slipper provides practical around-the-house fit. 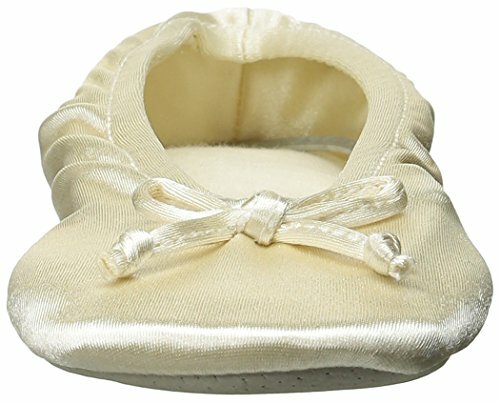 For perfect pirouettes around the house, check out ISOTONER's Classic Satin slipper. This sweet offering in fabric boasts a cushioned insole for comfort and an elasticized topline for a secure fit. Machine washability ensures easy wear.